REFLECT: Why should I share the Gospel? RESOLVE: Pray for those who have been placed in front of you for the Gospel's sake. 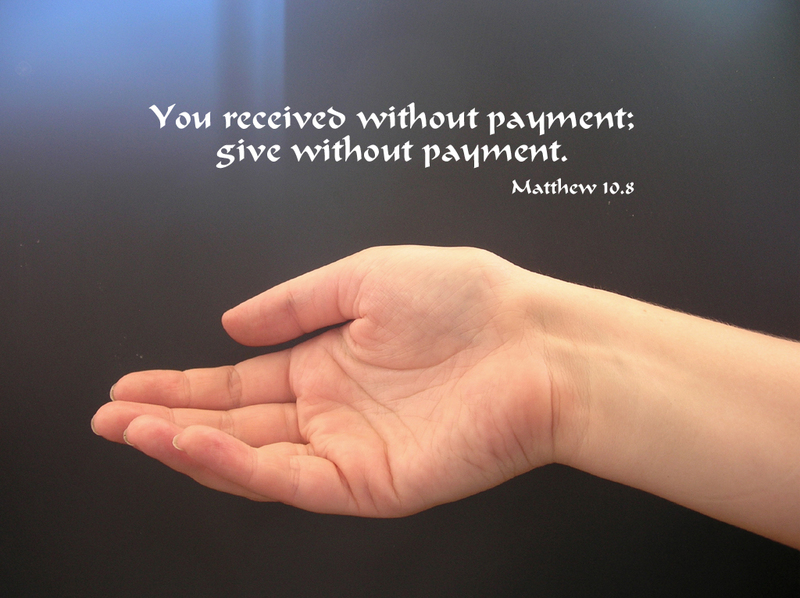 "You received without paying; give without pay." Great stuff Coach - thanks for getting up before 5am to share! Ha! You got it brother. Thanks for chiming in. God is good. You know I have overlooked Verse 8 in my studies...wow, very powerful few words...of course Christ spoke them, so every word is powerful...even though I have always overlooked this verse in my studies the hymn that came to my mind IMMEDIATELY was written in 1972 by Carol Owens titled "Freely, Freely"...it just amazes me how psalms, hymns, and spiritual songs have taught me so much! !